Angry Marlin Sport Fishing is an American-owned sportfishing company with over 25 years of experience fishing in Costa Rica and Central America. Based in the Central Pacific region, they fish off Los Suenos, Tambor and Cabo Blanco for sailfish, marlin, tuna, roosterfish, dorado and plenty more. From a fleet of five boats including everything from an inshore-specialist 17’ Boston Whaler up to bigger offshore boats, Angry Marlin specialise in catching everything that swims in the Pacific waters off Costa Rica. Roosters, jacks, mackerel, snapper and snook inshore? Tick. Tuna, marlin, sailfish and dorado offshore? Ditto that. And as a bonus, Angry Marlin also offers a no-skunk guarantee: “Simply stated, if no fish are hooked on your trip we will put you on another trip free! We don’t make excuses! We catch fish and we guarantee it!” Can’t say fairer than that. 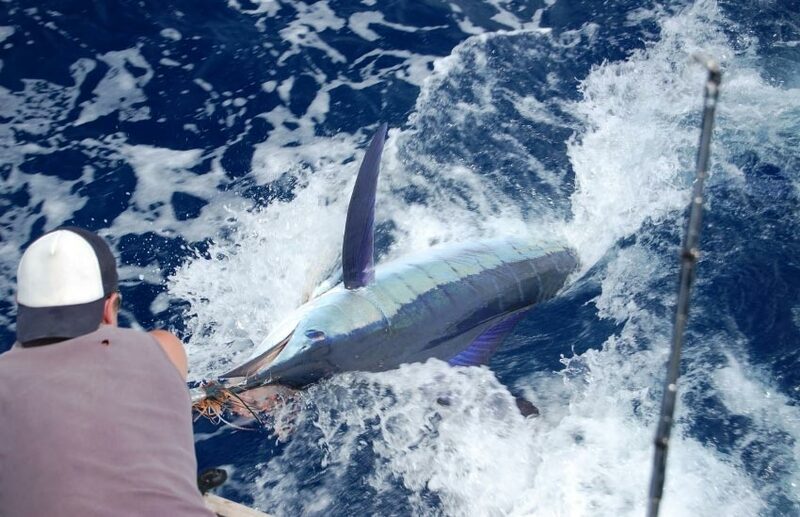 Have you fished with Angry Marlin Sport Fishing – Pacific Coast, Costa Rica? Submit your review below and tell us all about it.